Cheddars Scratch Kitchen makes some of the best appetizers around. One of my favorite menu items from there is the Texas Cheese Fries. It is hard to beat these delicious French Fries. Cheddars Scratch Kitchen is a great place to go. All of their food is made in-house, as they make everything from scratch. 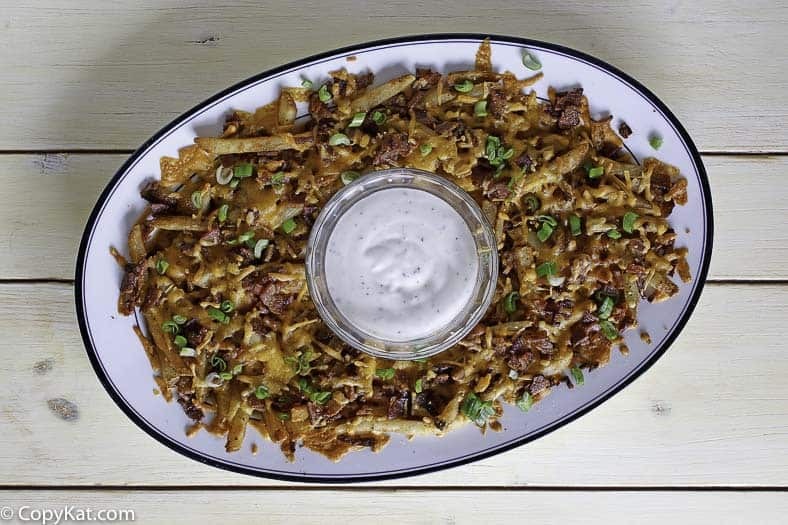 The Cheddars Texas Cheese Fries is one of their most requested appetizers. They are French fries topped with plenty of cheese and bacon. I am now certain what gets better than French fries, cheese, and bacon when you are looking for a plate of tasty comfort food. 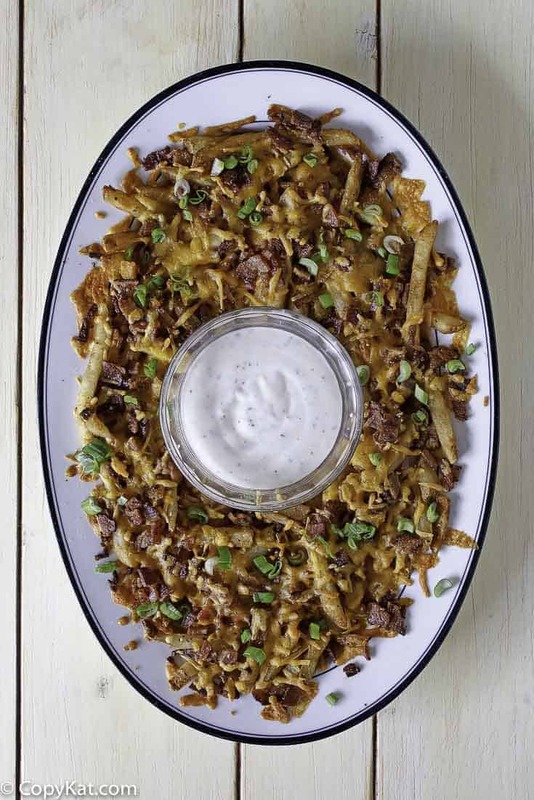 The Cheddars Texas Cheese Fries can be put together for a fun game night, your next tailgate, or an evening watching movies at home. Even if you aren’t a professional cook, your results will be really good. If you don’t want to prepare your fries in a deep fryer, you may want to consider using an air fryer to make crisp French fries without using as much oil. If you have never tried making bacon in the oven, I highly recommend it, your bacon will cook up perfectly crisp and flat. Can you imagine your friends and family and how happy they will be when you place out a plate of fresh French fries topped with melted cheese and bacon? It seriously doesn’t get much better than this. 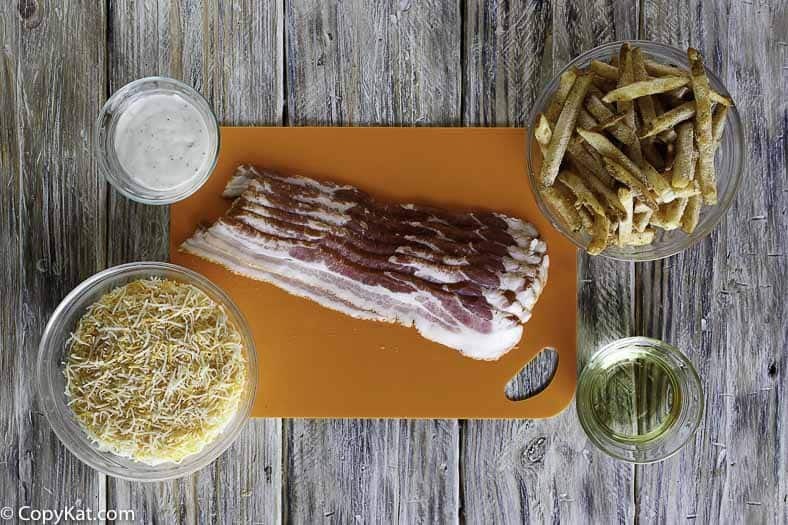 You can enjoy Cheddars Texas Cheese Fries when made from your own kitchen. Preheat the oven to 425 degrees. Pour about 3 inches of vegetable oil into a deep saucepan. heat the oil to 350 degrees. Cook the fries according to the package directions. If you are a small deep fryer, fry them in small batches, cook the fries until they are golden and crisp. Drain fries on a wire cooling rack. Cook the bacon in a skillet over medium heat until brown and crispy. Drain on paper towels. Pile the cooked French fries onto an ovenproof dish. Pile the cooked French files on the ovenproof dish. Be sure to leave a well in the middle so you can put the Ranch dressing container in there. Add the shredded cheese and bacon pieces. Place in the hot oven for 7 to 8 minutes or until the cheese melts and begins to brown. Remove from the oven. Place a small bowl of Ranch dressing in the middle of the fries.